The 3D screens are heating up again! Two new 3D movies will battle it out this weekend both films opening September 14, 2012. Finding Nemo 3D and Resident Evil Retribution 3D, luckily each films targeted audience are at opposite ends of the demographic pool. Last fall Disney decided to rerelease the Lion King in 3D. The lion King rerelease started out as a two week promotional stint and turned out to be a $100 million dollar winner at the boxoffice. 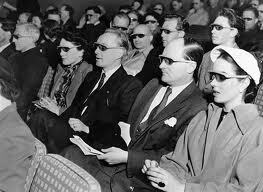 Since that day studios have been scrambling to convert some of their boxoffice winners to 3D. Indiewire gives Nemo 3D an “A.” Looking forward to seeing it this weekend. Next up Resident Evil Retribution, shot in native 3D also opens Friday the 14th. This is the second in the series of five Resident Evil’s to be shot in native 3D. The first was Resident Evil Afterlife. Per Jerry Bolt on Resident Evil Retribution, they decided to shoot the latest version with Epic Red 3D rigs since they are about 50% smaller than the Sony F35. I know when filming an action movie or really any feature, if you can cut down on the weight of the gear and not compromise on quality it makes for a happy crew. This one will be available in 3D, realD and IMAX3D and 2D as well. Almost forgot Paranorman which opened August 17th 2012 is still in theaters as well. 3D lovers you’ve got a lot to choose from this weekend!